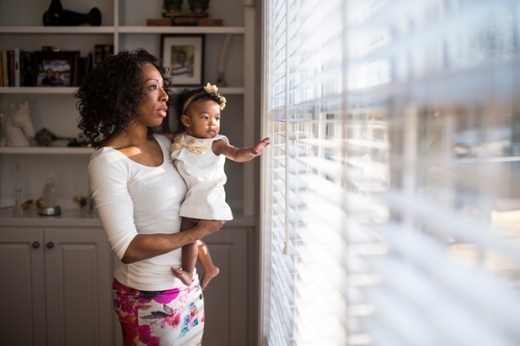 Emory's Schools of Nursing and Public Health partner on the Center for Children's Health, the Environmental, the Microbiome and Metabolomics (C-CHEM2), studying environmental factors which may lead to increased of preterm births in African-American women. The Nell Hodgson Woodruff School of Nursing and Rollins School of Public Health, along with Emory College of Arts and Sciences, and Emory School of Medicine received a $5 million grant from the National Institute of Environmental Health Sciences (NIEHS) and the U.S. Environmental Protection Agency (EPA) to establish a children’s environmental health center. The grant is the largest National Institutes of Health grant ever received by the School of Nursing. The center brings together the expertise of the four Emory University units and aims to explore how environmental exposures prior to conception, during prenatal development, and postnatally may affect infant health and development. "These centers have helped establish the foundation of children’s environmental health research in the United States," said Dr. James H. Johnson, Director of EPA’s National Center for Environmental Research. "The funding announced today will add to this legacy by providing cutting-edge research and greater awareness in understanding how a range of environmental factors can affect our nation’s children." Emory’s Center for Children’s Health, the Environment, the Microbiome, and Metabolomics, known as C-CHEM2, will coordinate several interdisciplinary studies to examine the complex interactions between toxicant exposures, microbes that reside in and on our bodies, called the microbiome, and their impact on birth outcomes, infant health, and neurodevelopment among African American mothers and babies in Atlanta. C-CHEM2 is one of only five children’s environmental health centers nationwide and is the only Center focused on the microbiome and African American mothers and babies. Pre-term birth occurs 1.5 times more frequently in African American women than in Caucasian women and is the leading cause of infant mortality in the African American population. Determining the role and function of microbiome during pregnancy and subsequent newborn development may offer potential clues to new screening and intervention methods to prevent preterm births and adverse brain development. Led by Linda McCauley, PhD, RN, FAAN, FAAOHN, dean of the Nell Hodgson Woodruff School of Nursing and P. Barry Ryan, PhD, MS a professor of environmental health at the Rollins School of Public Health, C-CHEM2 is the first center of its kind in the Southeast or to be based in a nursing school and to focus on the microbiome. C-CHEM2 will zero in on research surrounding urban minority populations by leveraging data generated through the maternal micro-biome study in the School of Nursing and the laboratory resources of the HERCULES Center (Health and Exposome Research Center: Understanding Lifetime Exposures) at the School of Public Health. The Emory team will conduct a longitudinal study of 300 pregnant African-American women ages 18 to 35 currently being followed through delivery to examine maternal prenatal stress and its association with the infant microbiome. Researchers will examine the biological, social, behavioral, and environmental factors that influence the microbiome of African American women living in metropolitan Atlanta during pregnancy and how changes in the microbiome may be linked to preterm birth. "We hypothesize that factors such as environmental exposures, the microbiome, and immune system together influence neurocognitive and socioemotional development," explains McCauley. "The type of delivery, genetics, feeding, postnatal stress, and maternal-infant interaction are all vital aspects that affect long-term health outcomes. By identifying these factors, we are then able to develop interventions to eliminate barriers to positive health effects." The center’s initial research focuses will explore how environmental exposures in the home during the first 18 months of an infant’s life, during pre-and-postnatal development may affect birth outcomes and infant neurodevelopment and behavior. Knowledge gained from the study could transform the health of the next generation African American families. The study will also build on community engagement already in place in the HERCULES center. The collaborations between C-CHEM2 and HERCULES will provide for bi-directional exchange between African-American families in Atlanta and scientists. Dual-PI P. Barry Ryan said that the project provides a forum for ongoing dialogue that will help ensure that the research is relevant, accessible, and culturally appropriate. "We listen and provide feedback to community members," said Ryan. "They listen and provide feedback to us. And in both cases, we learn something." The study’s sponsors, The National Institute of Environmental Health Sciences (NIEHS) and the EPA, believe the work of C-CHEM2 in the long run could provide insights that have broader implications for disease management and treatment. "Emerging evidence shows that early-life exposures from the environment may change the microbiome and possibly influence disease later in life," said Gwen Collman, Ph.D., director of the NIEHS Division of Extramural Research and Training. "Supporting Emory’s efforts to better understand this link through their new children’s environmental health research center is an important part of the NIEHS research portfolio." For more information on the School of Nursing’s Children’s Environmental Health Center, see the most recent editions of Emory Nursing and The National Institute of Environmental Health Sciences’ Environmental Factor.